At long last SEB Lems is finally ready for the new format. While I have tried very hard to make sure replays are preserved, there are a handful of levels where all of the replays will be broken so be sure to check your replays for solvability after upgrading from the old format! 09 14 completely replaced with new level "I Am ATypical"
Special thanks to GigaLem for making additional objects and backgrounds for the Sonic tilesets. Included in the zip download are additional objects for the Sonic tilesets until they are officially released in the styles download. Make sure to download the music pack as well at the top of the post, it is a SEPARATE download! Does the music pack also work with the old formats version, as far as you named the tracks in the levels? Yes, it is exactly the same music pack used for the Old format v2.00. Thanks! Well, what a way to get a hand on some of these tracks! And SEB is fine with this? Uploaded a fix, Rapture 18 had a deadly right edge. I finished this level pack...again. So, my more thorough second playthrough of this pack after the first try last Winter. After solving 152/175 now, progress from this point onwards is remarkably slow that I find it best to attach my solutions so far. I didn't get feedback for my solutions last time, though I see some of my solutions being adapted through the changelog. I'd like to hear about my solutions, which are backroutes and if there's something special in them anyway. Paradise17: Crystallise – My solution is ridiculously precise, I’d think there’s a more reasonable way to do this level. Bittersweet2: Pretty Woman – My previous solution didn’t work, because there’s no ceiling at the top left corner. So, I adjusted my solution just a bit. Bittersweet3: Just Get Rid of Him! – An original idea, good good! Bittersweet4: Sweet Memories – I backrouted this earlier, now the solution is shiny! Bittersweet14: From a Designer’s Perspective – Suddenly original tileset with that nostalgic song! A refreshing surprise. Bittersweet15: Candy Floss Bonkers – I backrouted this earlier. Now found this solution with that tricky top left area, nice! Revolution3: Don’t Play With Fire – One of the most builder heaviest levels in the pack, but there’s these kind of levels so few so that’s just variety and doesn’t get that irritating. Revolution8: Harvey Haddon Sports Pyramid – I backrouted this earlier, but now I used the basher before the one-way wall area. Revolution9: A Tribute to Bob Holness – Didn’t realize in my earlier playthrough that you can find words from there. Revolution13: Sadistic Lemming Factory – This one I mentioned already, there’s a talisman for solving the level (save 39). Also, this feels daunting for its placement this early in the pack. Revolution 16: Pac Attack – Another quite exhausting level this early in the pack. Stormy2: A Starlight Rollercoaster – I didn’t solve this earlier, just in this playthrough found the correct path! Earlier I tried to send the workers up the first wall. Stormy11: 30-MegSEByte Hard Drive – Not yet solved, I managed to realize what to do in the top right corner (digger and platformer only), but no idea how to do the bottom left, would need one climber more (crowd is not safe from water). Stormy12: Futuristic Climber Zone – Didn’t solve this last Winter, now I got it and this is an amazingly original level, wondering why the eerie space song isn’t there anymore but “aah real monsters” song is used. Stormy16: Wild Forever – Didn’t solve this last Winter, now I got it when I realized that miner set-up is possible with first lemming not using a floater and the miner turns around from the steel. It’s really precise, maybe too much so? Stormy19: Rick-afinity – Didn’t solve this last Winter, now I got it immediately when I realized to dig horizontally through that thin one-way wall. Murder1: The Five Arches – Not yet solved. Murder2: Will You Start The Fans Please! - A good level, I was stumped for a while, the key was to find out the correct digger placement, after that all came together. Murder5: Up and Down and All Around – Not yet solved, I see you’ve fixed backroutes from basically everyone who has played this level. Murder6: The Story of the Eggs – I saved 2 skills, one of the most backroute-feeling solutions of mine. Murder7: The Call of Lucia – A good, difficult and compact level! Murder9: Let’s Go Sonic! – Maybe the easiest level in Murder rating, a good for being a breather level here if intended. The difficulty could come from spotting the indentations from the tower, but if one uses lots of clear physics mode like I do, it’s easy to spot. Murder10: Birth of an Empire – A good level, deriving from comments, this didn’t have save 100% requirement earlier and wouldn’t been Murder-worthy imo, now it is. Murder11: Aztec Dune Zone – Not yet solved. Another level that’s difficulty has considerably risen, deriving from comments that Arty’s solution has been adapted. I can save everyone but the last hero lemming bashing the big one way wall from left to right and he walks to the abyss. Murder12: Like A Lem In A Candy Shop – Another good, cramped, difficult level! Murder13: No Time To Die (Flopsy style!) – Maybe backrouted, my solution is not Murder-worthy. Murder14: We Build Castles Made of Slime – Didn’t solve this last Winter, now got it when spotting that basher placement. Murder15: Golden Round - A good and fitting song! A bit easy-ish if one examines the honey circle terrain carefully, where to put basher etc. Murder18: Darkside Lightside – A good and difficult level. Murder20: Here Comes the Rapture! – Not yet solved. The biggest issue is saving the climbers at the bottom middle from climbing to the flamethrower. Rapture7: The Call of Kyusu – Awesome level, three different delightful timing tricks (blocker-builder, digger-faller, bomber-basher)! At first I thought this to be more horrible before realizing that only 3 climbers need to be send to the left, because the hero that digs lets climbers to the right, avoiding timing with the trap. Rapture8: Leave the Others Alone – Nice, though a bit hasty with the builder before the crowd comes. Rapture12: Shoot From The Hip – An interesting looking level compared to exhausting looking Rapture levels with dozens of skills, thus I tried this for a while, and I’m not sure if the trick at the bottom left is intended. Awesome layout! MegSEBytes8: Mummies Alive! – The level where this rating gets good. MegSEBytes12: SEBpphires – A potential backroute saving 2 platformers. MegSEBytes15: Lights, Camera, Action! – Brilliant, looks pretty impossible at first sight, but the solution is efficient. 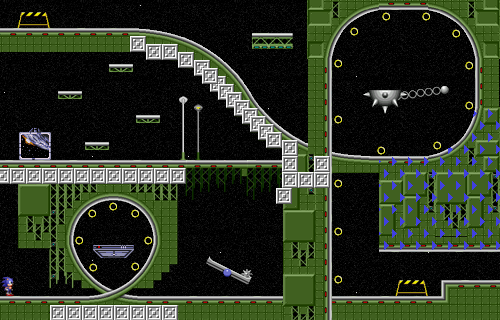 MegSEBytes16: Lemsels in Distress – Three good things: the tileset, the level, the song. MegSEBytes19: Circuit Breakers – Genious, genious! MegSEBytes20: Spaced Out – Took a while to solve this, a deserving rating final. Unrequited2: Just 1 Word I Want You To Know and 10: How’s the Island Punch? – Great, great, great! Unrequited11: Mapperley at the Tree Tops – This is somehow one of the most uninteresting levels in the pack (excluding X-of-everything levels). Not discarding-worthy maybe, but I just thought of bringing this point out. Unrequited14: The Lemming Disaster Suite – One of the hardest solvings of mine, timing to get a bomber hero at the end out from the crowd was pain. Unrequited15: 30 – Not yet solved. Hard to tell if I’m doing wrong the left part or the right part. Unrequited17: Machinery – A good level, but seemed easy compared to levels around it. Unrequited18: I’d Give You Anything – Not yet solved, and this is super weird how to do the second “room” with 3 builders, 2 blockers and 2 diggers. There’s 4 vertical trees, 3 bashers and 1 fencer for them. Pretty sure that first room is builder and digger, the second last room is builder and the last room is digger – all skills used. Unrequited19: Hot for High Times – Like I said earlier, I didn’t take the pickup skills, so I backrouted this. Unrequited20: How Does it Feel? – Marble is by far the most used tileset in this pack. A good level. Deep Cuts 8: Maybe the best level of this rating even though it’s a multitask pain. 14: I am A Typical is also good, but yea maybe not that original for the main ratings. Thanks Flopsy, this is quite an ambitious and colossal level pack with diverse and imaginative level design! Duration for playing is dozens and dozens of hours. Well, then. You gave me a lot to watch during the last weeks, Flopsy . It's about time I gave something back, isn't it? I honestly couldn't, for the longest time, because I just had no clue how to solve anything in the second half of the Revolution rank. Fortunately, Stormy turned out to be a lot easier for me overall. I think this is consistent with the feedback Arty gave you? There are still a couple of levels in both ranks which I haven't solved yet, but instead I got to unlock some of the talismans. For many of the later levels, I experienced similar symptoms like on Lemmings Migration, where I got to about 90-95% of the solution myself, but then had to get a hint for the remaining step. Usually these were the levels where I always felt like I was one skill short. "Sweet memories": The fact that you made the slope entirely terrain, without the little gaps in it, had me stumped for quite a while . Before, I had used a miner to turn the lemmings around here, because that miner got cancelled automatically as soon as he hit one of those gaps. Eventually, I came up with something involving one of my World Tour tricks, i.e. climbing through a blocker. Is that intended? It seems a little untypical of your level building style, if I compare it to all the other levels from the pack I've played so far... It works out just nicely with the release rate, but I managed to spare both the floater and the bomber. Well, in case it's a backroute, I already see how you're probably going to fix it . "Tricks of the Trade": Refering to the one with the blocker-builder-turnarounds here. Like Arty, I'm not the biggest fan of this one. Although the execution gets quite a bit easier once you've figured out the ideal place to contain the crowd. Another case where minor conceptual mistakes can cause a lot of unintended pixel precision, related to the relative distance between several lemmings. "Merry Band of Lemmings": One of the reasons why Stormy felt so much more inviting than Revolution! "MegSEBytes Hard Drive": I wasted both diggers on that maze-thing on the right with the button in it, rather than just a single one. That, in turn, made me waste a platformer at the top of the ramp to turn the climbers around by bumping their heads against the platform. "Gold Run": A nice change to cancel a rogue lemming with a stoner rather than a bomber. Requires a little timing so that nobody gets trapped on the other side of the stoner. I'm usually careful with such a change, because stoners generally pose a much greater danger of breaking a level than bombers, but here, without any lethal fall options, this is certainly more interesting than a bomber cancel. I'm just a little sad the trick I tried in the meantime wasn't part of the intended solution, because mechanically it works: In that zig-zag miner shaft, I had a lemming falling from the top stone, then walker-freed the blocker to gain some space, and platformed towards the stoner so that the platform closed the gap at the stoner's feet and the lemmings could ascend. How to close a miner tunnel without a builder! "I Feel Six and Twenty Eyes": [removed comment about level titles]. The most fiddly part about this was getting the cloner right. The absence of bashers really made all this one-way stuff an unusual challenge. "On the dancefloor": [removed remark about level reference] Like Arty's boss fights in SubLems, your final levels of each rank often feel easier than the rest of the rank that came before. Nice builder-fest with some thinking required; it isn't too hard to prevent the lemmings from splatting, though, if the player knows some basic splatform rules. I like the idea of "anouncing" the next rank with the last level in each rank, though - apart from you, I have only seen GigaLem do that, so far. Q.E.D. Looks like I'll have to resolve those two. I'm just glad my solution for "Sweet memories" either seems to be intended or at least acceptable now. I do suggest you make that fire trap on 03_03 an overwrite object, though . I'm fine with traps hidden in animals for flavour reasons, but there's clearly no dragon or other fire-breathing beast present in this level . I finally got around to giving this a go. I really don't have the patience to play on-video anymore, but I figured I at least owe it to you to play the pack. Solved the first rank; got some of the talismans as well - I usually wasn't specifically trying for them, although if they didn't look much harder than the normal solution I got them. Some I got without even trying. Some feedback on specific levels. 0104 "Back to Paradise" - The level itself is alright, but I really don't feel that full-on songs work well as Lemmings music. (I'll note the distinction here between an actual song; and music that uses vocals more like an instrument - eg. "At The Fair" - or that just have the odd vocal soundbite - eg. the Amiga variant of the "Menacing!" music). This might just be me, though. 0110 "Is It Any Wonder?" - Ugh, I did not like this level. It's extremely long (it literally doesn't fit in a single "screen" of the minimap) with no real point to it. 0111 "Move This Mountain" - Even without the "no stackers" goal for the talisman, I think this level is a bit tricky for a first-ranker. Not a bad level though. 0113 "The T-Shirt Level" - You forgot to set music for this one. Unless it's just coincidence that it's level 13 and plays orig_13? 0115 "Party In My Head" - Nice level, although I couldn't figure out which L3D level it was based on. 0116 "It's The Name Of The Game" - Another nice one, although it's definitely much easier than its L3D inspiration. 0117 "Crystallise" - Probably my favorite so far! 0119 "Tricks of the Trade" - This one was pretty neat! 0120 "Parting is Bittersweet" - This is a nice level; although I notice the symmetry is somewhat broken - notice that a glider gliding from the very top of the sides, behaves different on one side than on the other. Not sure if this is intentional. Overall, based on this as well as the demo and other levels I've seen by you, I'm definitely looking forward to the rest of the pack. 0113 The Tshirt Level - The music for this level is the SNES version of Level 13, not sure what was playing your end. I got orig_13, the normal variant (which I've personally overridden with the Master System orig_13, but on a vanilla NeoLemmix install it would just be the standard orig_13). Looking at the level file, it specifies the music "snes13", which appears to be missing from the music download - which would explain this, as NeoLemmix would thus fall back to the 13th music in the standard rotation (ie: orig_13). Going forward, I would rather any feedback towards SEB Lems (or any of my other packs) is actively about the level's layout/solution and not talking about personal likes or dislikes for music tracks, level titles, references or tilesets used. I really am not interested in hearing about things unrelated to the level solutions and I would rather not know that you're not enjoying my own personal choices that I feel make the pack special for me. I feel like the best feedback for this pack is about the solutions and enjoyment of the level (excluding music) so please stick to that. No worries. Do you still want me to point out technical issues with the music, similar to that of 0113 where the music file is missing from the download?